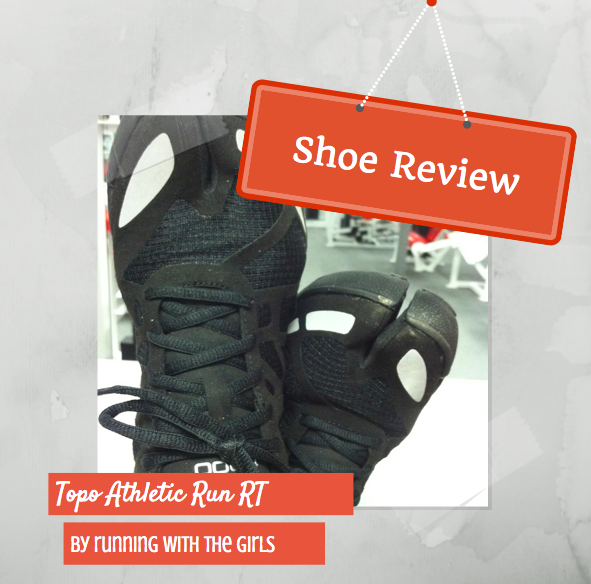 I recently had the opportunity to try out the Topo Athletic Run RT shoe. I have this real attraction to minimalist shoes and these shoes have a look that draws you in and really intrigue you. I tracked the shipping of these shoes for days....and when they finally arrived, I couldn't wait to put them on and take them for a test drive. What was pretty cool about the Topo folks is that they included two complimentary pairs of split toe socks made by Injinji especially for Topo Athletic shoes. And because I like these socks so much, I wear them for everyday wear - to work under my leather boots with other sneakers. They are pretty awesome. First impressions go a long way. Especially with a shoe that I am trusting my feet, my body to. As I slipped into them, I knew I had put on a shoe that my feet were going to love. The arch hugged my high arches like they were made for my feet. The toe box allowed for my toes to spread and feel free. 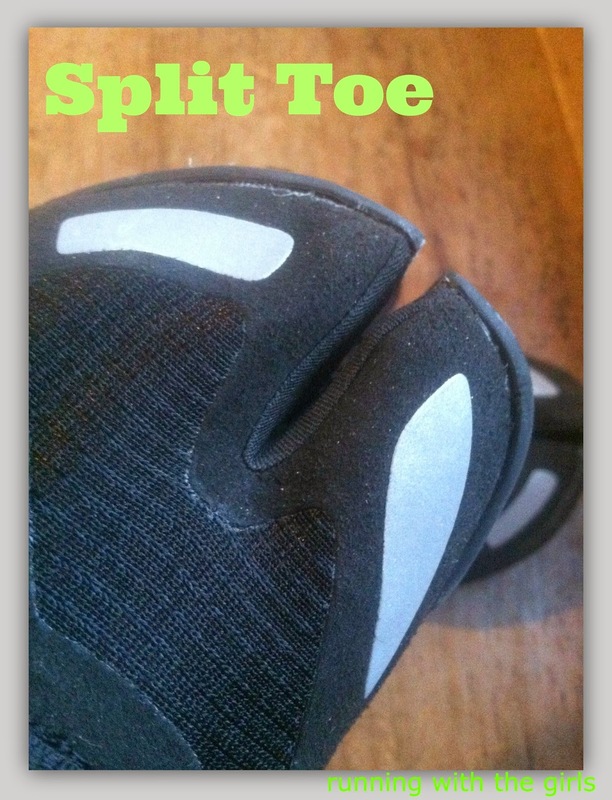 I was nervous about the split toe and if the materials in the inside would create any hotspots. I am happy to report there was zero rubbing. Actually, having that split toe allowed more room in the toe box without making the shoe seem boxy. That is a pretty cool feature. The upper is seriously lightweight and breathable. They are made from mesh and microfiber and offer up zero hot spots. Ward was seriously impressed with the uppers and tried like crazy to cram his feet in there. Poor guy. I know I have big feet and all, but not quite big enough to share shoes with him. Also, as these shoes are zero drop, they also offer very little cushioning. Which I love for speedy runs. For training, I like cush, for speed, no cush. I'm picky that way. 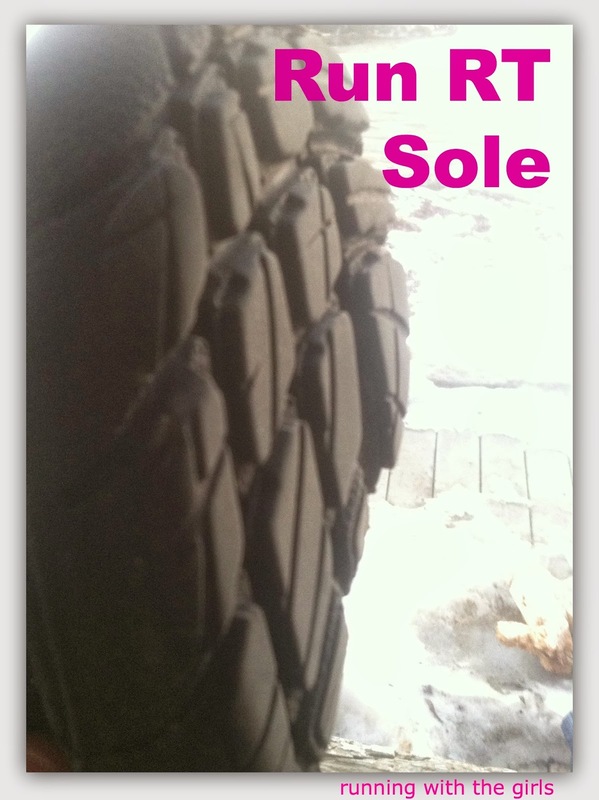 They have a total of 16mm stack height and a removable 3 mm EVA footbed. Another thing you need to know is that I always run with socks on. But one day I forgot my cool split toe socks at home. 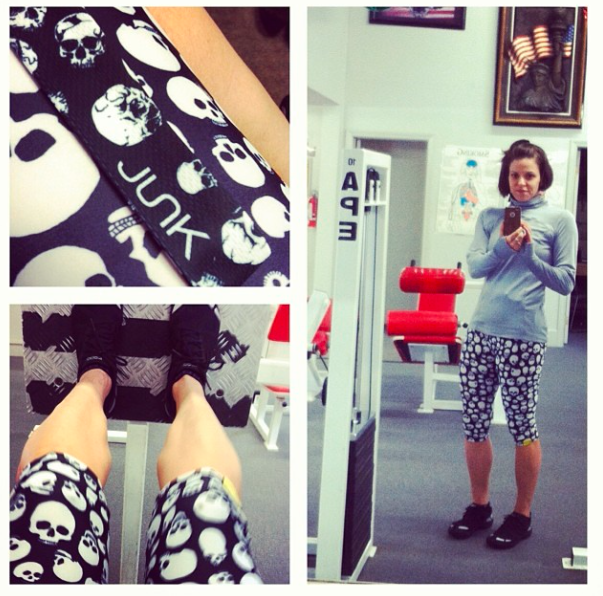 Not wanting to missing out on a run, I slipped on my Run RT's and hopped onto that treadmill and banged out 6 miles. I was positive I was going to get a blister. I always get a blister when I try to run without socks or when I run in new shoes. But guess what? 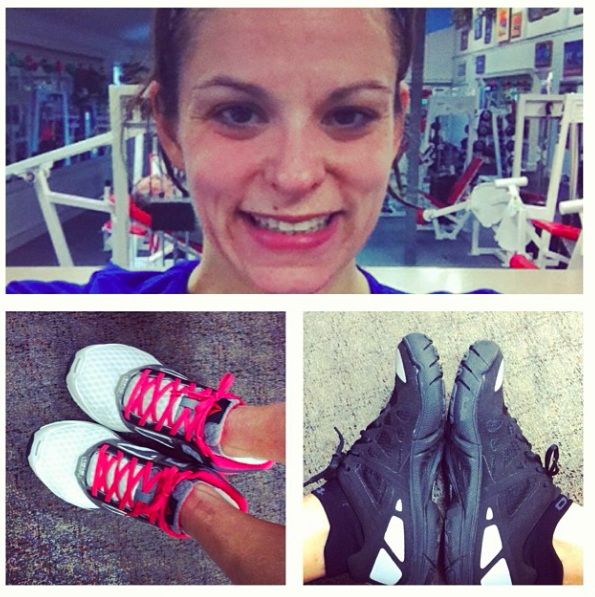 A crazy thing happened...there were no blisters to be found on my feet/toes/heels anywhere! A majority of my Run RT's runs have been on the treadmill. I started out with the 3 mile run and have gotten up to 7 miles in them. My feet, back, calves have felt fantastic. After experiencing a few injuries lately, I rely on how my back and calves feel after running in shoes. If they start to feel tight or not right, I know the shoe I'm running in isn't right for me or that it's near the end of it's life. So far, they have been giving me the green light, so I'm going with it! Another PRO, is that these shoes are crazy reflective. 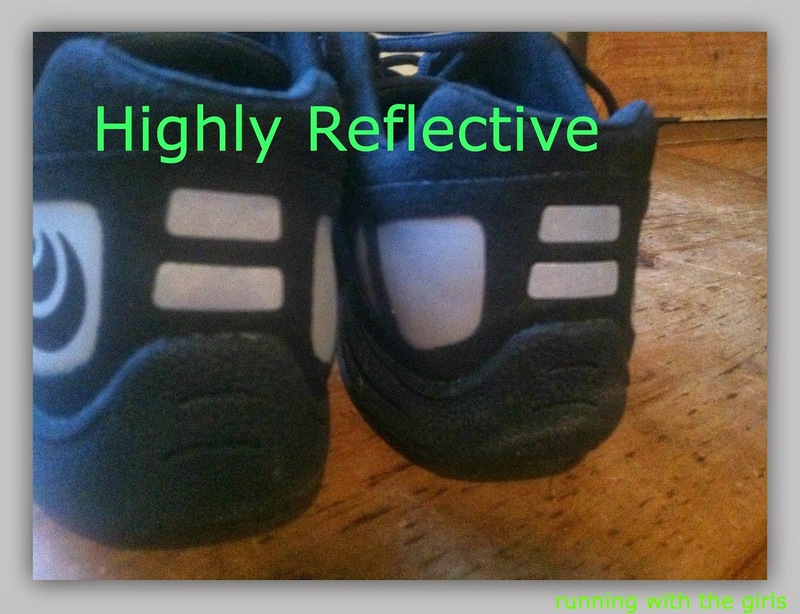 There are reflector spots all over this shoe. So, if you are person who runs at night or super early in the morning, these shoes are going to light up like crazy! Now, I haven't had to do any outside night running lately. Somehow I've lucked out. Perhaps as the weather gets nicer, I may start to get out there and do some night running. And when I do, I'm going to wear these shoes! I have only run outside in these shoes one time. We've had a horrible winter in terms of road conditions with the icing, freezing rain. The only con I can think of is the tread combined with ice. It is slick and I didn't really feel like I had any traction in these. Which is not a big deal, since we don't really get months of ice anyway. Well, this year we did. Normally we don't! Now, a word to the wise. If you are not already running in a zero drop shoe, you really need to slowly acclimate your body to a zero drop shoe. It's not really wise to go from a 8 mm drop to a zero drop and hammer out 20 miles. It might feel great for a few days, maybe even a few weeks, but it will sneak up on you and chances are it's going to hurt. I've learned from the past to ease into zero drop shoes. Lately I've been switching it up between a 4 mm and an 8 mm. And while my I've been liking it, I really do like to have a zero drop shoe in my rotation for my shorter, faster runs. The Run RT has filled that void. 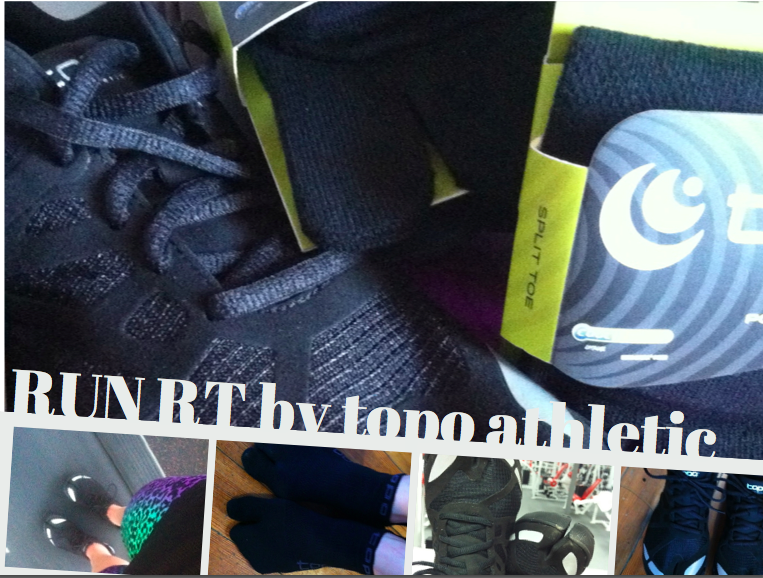 You can check out Topo Athletic on Facebook, Twitter, Pinterest, and Instagram. Do you enjoy zero drop shoes? 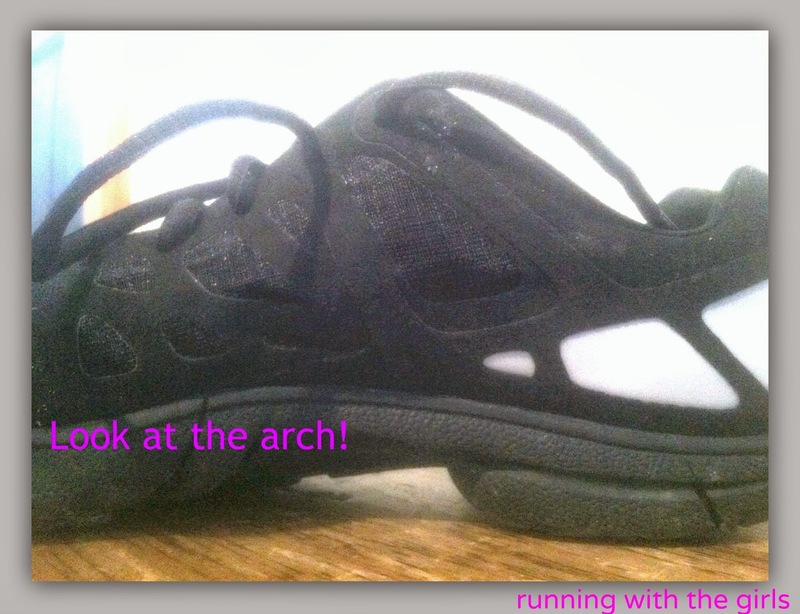 What about arch support? I usually wear an insert, but with these shoes, the insert was not needed at all. Oh and what about black shoes? I wasn't sure at first, but I absolutely LOVE them! Disclaimer: I received these shoes in exchange for a review. I was not obligated to provide a positive review. As always, all opinions expressed on my blog are 100% my own, and Ward's. I do like zero drop shoes I have run quite a bit in them in the last year. Glad you like the shoes! I reviewed them today as well!! I love mine! These look so cool! My bf walked by while I was checking them out and he was like...what are those, they look awesome!